Romhacking.net - Translations - M.U.S.C.L.E. M.U.S.C.L.E. 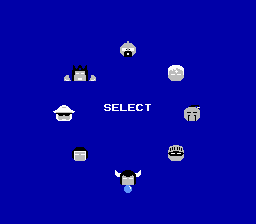 is an action fighting game for the Nintendo Entertainment System. 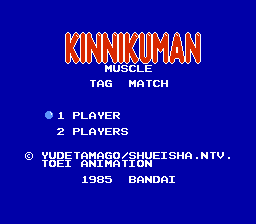 The game is base on a popular anime in Japan , Kinnikuman. Uh, yeah. This translates the title screen and I didn’t really do anything. As usual FlashPV did the title screen for me. There are a few katakana characters that I looked for, but I couldn’t find in the game. Oh well.